Engaged to generate media coverage for two philanthropic donations – a playground to honor brothers Cayden and Conner Long in White House, Tenn. and the refurbishment of a Midland Beach Playground in Staten Island, NY that was devastated by Hurricane Sandy – we focused on telling the stories that inspired these generous donations and the impact they were making on local communities. Highlighted the bond of Conner Long, 10, and Cayden Long, 9, sharing Conner’s commitment to playing with his brother despite him being confined to a wheelchair due to hypertonic cerebral palsy. The two competed in children’s triathlons and, thanks to Miracle Recreation, would now have a new, inclusive playground in their community to play on. Placed stories in Fox News (national), ABC News (national), The Huffington Post, Sports Illustrated for Kids, The Tennessean, About.com and a slate of regional and trade publications highlighting Miracle Recreation’s charitable work in Tennessee. 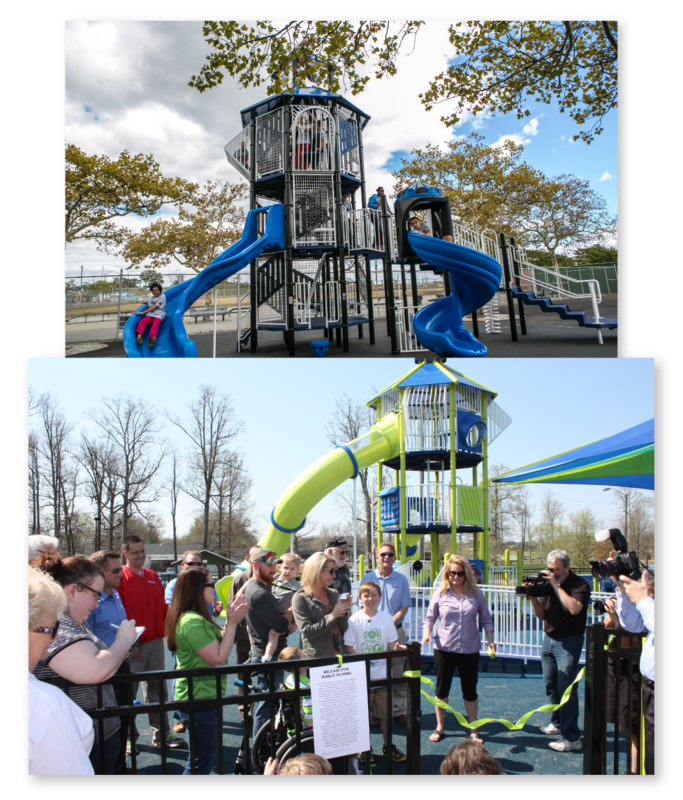 Secured stories in USA Today, New York Post, NBC News (local), CBS News (local), Fox News (local), About.com and additional local and trade online, print and broadcast outlets for Miracle Recreation’s work in Midland Beach. Worked in partnership with Miracle Recreation (and partner NBA Cares in Staten Island) to secure photography and videography for use in future sales materials.